This collection of wonderful recipes from food blogs across the internet show that it really is possible to create fantastic Thanksgiving dishes that are also gluten free. Some of these recipes are alternative versions to Thanksgiving classics, while others could easily become your new Thanksgiving tradition. Plus, most people won't even realize that these dishes are gluten free. That's how good they taste! Bread is often something that you miss if you can't eat gluten. These rolls from recreatinghappiness.com are fantastic because they really do look like normal bread rolls. In her post on the recipe, Rachel notes that these rolls also feel like bread and that they aren't dry or gummy. Getting the texture and ‘feel' of the bread right is always important when trying to make gluten free alternatives. It's also a pretty simple recipe, which is great if you're new to gluten free cooking. 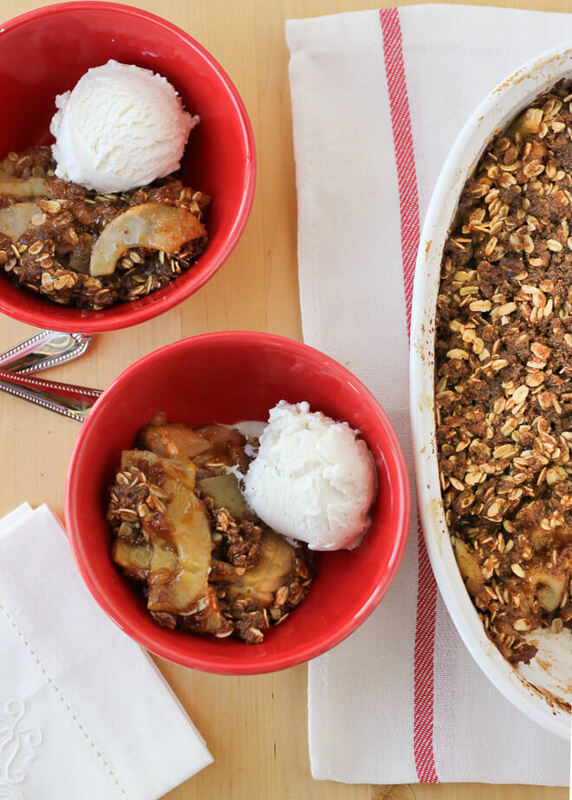 For Thanksgiving, traditions focus more on pies but I personally love apple crisps just as much. This type of dish is so much easier to make than a pie, and it's also easier to make a gluten free version because you don't have to worry about making a crust. There is endless variations too, because you can swap out the fruit on the bottom easily. The recipe is over at blog.meaningfuleats.com, and it's actually dairy free as well as gluten free (well – not counting the ice cream in the image). I love the way the whole dish looks in the bowl and it's bound to be a popular dessert no matter who you serve it to. 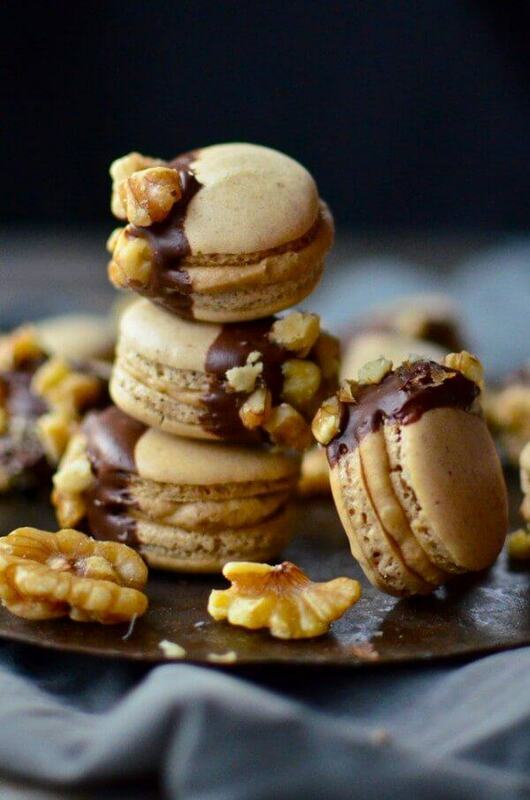 If you like macarons (or if you have never tried them) these little treats are a great option for a Thanksgiving dessert. While they aren't a common traditional choice for Thanksgiving, you have to admit, they are well suited for the holiday. Dipping one side in chocolate and sticking walnuts to it is a bit of an unusual touch, but it works especially well for the images and probably tastes great too. The recipe is available at yammiesnoshery.com, along with many other recipes and great images of food. Personally, I try not to browse the site too often because it keeps making me hungry. 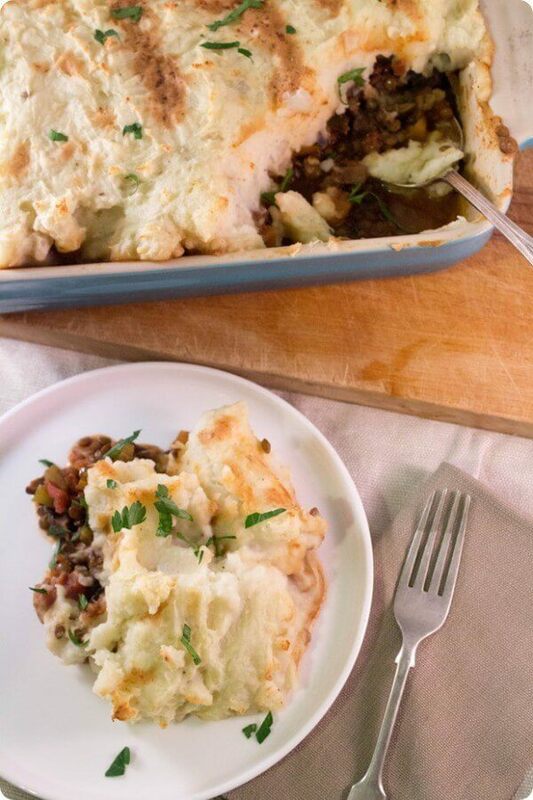 Shepherd's pie is such an amazing comfort food, especially as it is heavy and hearty. For me, those traits alone make it a perfect option for Thanksgiving, especially as an alternative option on the table. This particular recipe is unique because it manages to be gluten free and vegan. That means there is no meat at all in the pie. The recipe is clever, because the colors of the pie are still exactly what you'd expect from a shepherd's pie. However, I'd recommend warning people, or they might get quite a surprise. You can find the full recipe at fannetasticfood.com and she even offers step-by-step images of the entire process. What's the easiest way to get around the gluten in a pumpkin pie? Why, avoid the crust altogether. That approach also works very well for anyone who loves pumpkin pie but who isn't especially fond of its crust. 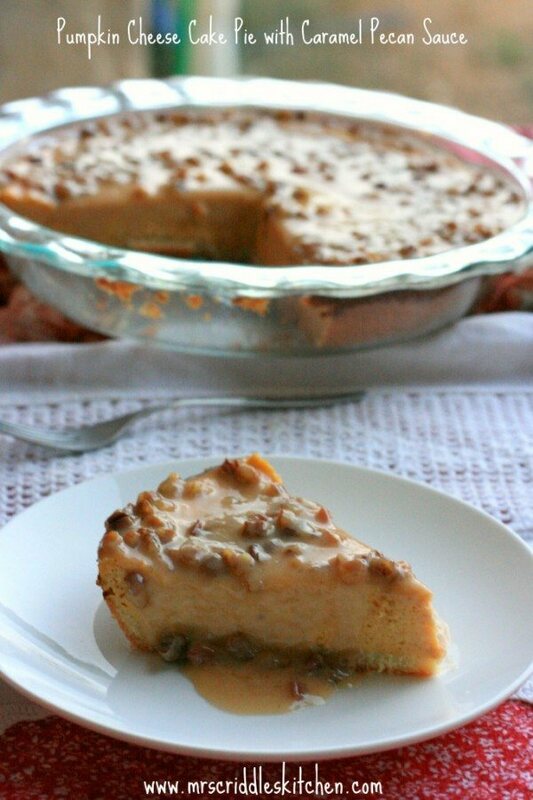 This pie is a great option for taking to parties, because it doesn't look or taste gluten free. It's easy to see from the image alone that the pie holds together well, even without having a crust. The lack of a crust would also make it less messy to eat – so, it's a winner all round. The recipe is available at faithfullyglutenfree.com, along with many other gluten free recipes. 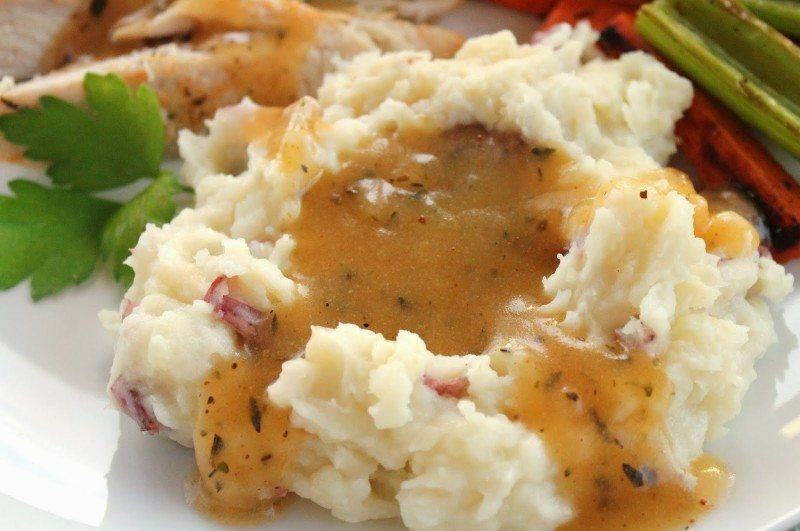 Here is a simple, but very appealing, dish for thanksgiving. 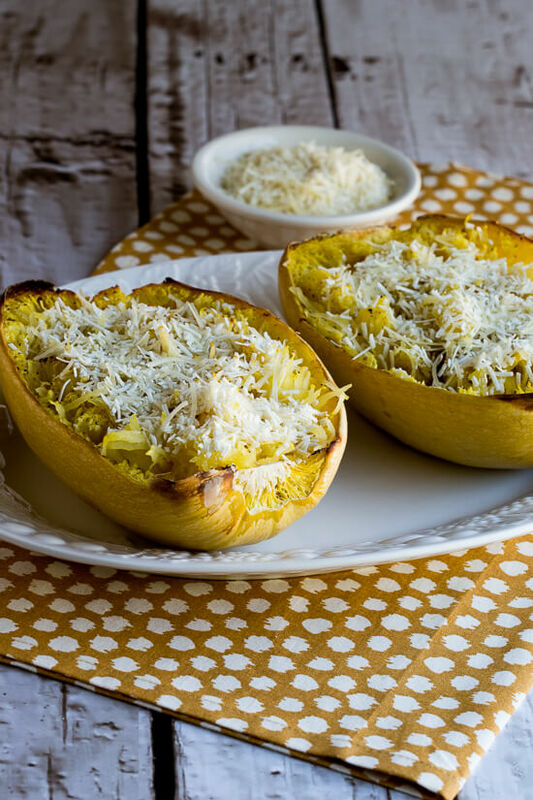 The entire dish just uses four ingredients, but the combination of spaghetti squash and cheese alone makes it a good choice even for people who aren't especially fond of vegetables. This one also has the advantage of being visually appealing and being very easy to prepare. The ingredients and steps can be found at kalynskitchen.com if you want to give this one a try. In general pumpkin is a fantastic ingredient for fall and for Thanksgiving. The flavor goes well with sweet and savory foods, and it mixes well with other spices and flavors. 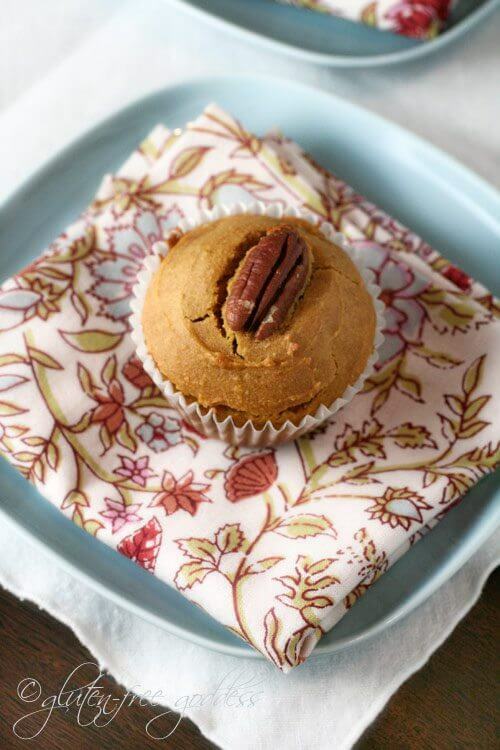 Pumpkin muffins are a good option for a snack that can easily be served in just about any context. Plus, these ones are gluten free, so they are a good option for a gluten free Thanksgiving dessert. There is also more to the muffins than the image suggests, so take the time to check out the recipe at glutenfreegoddess.blogspot.com. Casseroles are always one of the riskier options on a gluten free diet, because it's always difficult to tell whether they were made using gluten or not. That's the beauty of making your own. This casserole is a great option, because it is gluten free and it is a little bit different. 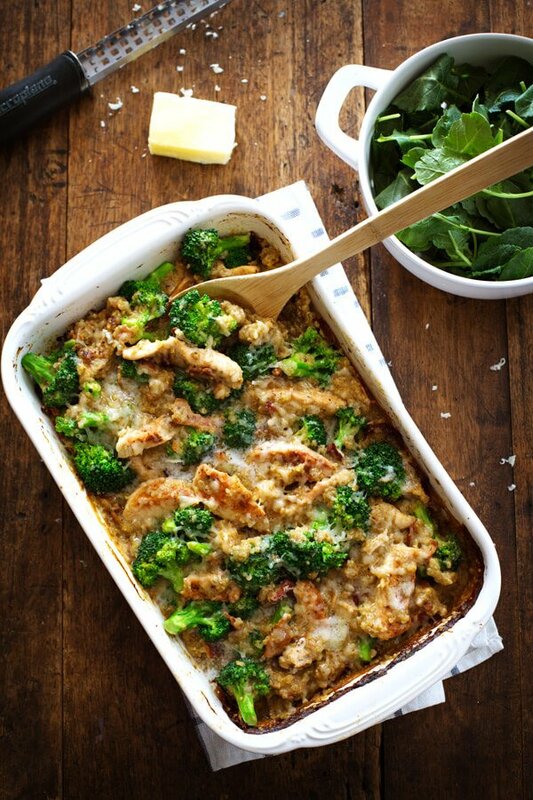 Quinoa is still an underused grain, and this casserole combines that grain well with a creamy sauce, in addition to the chicken and the broccoli. The end result is a hearty, healthy and comforting dish. What's not to love. The recipe can be found at pinchofyum.com and it is even pretty simple to make. 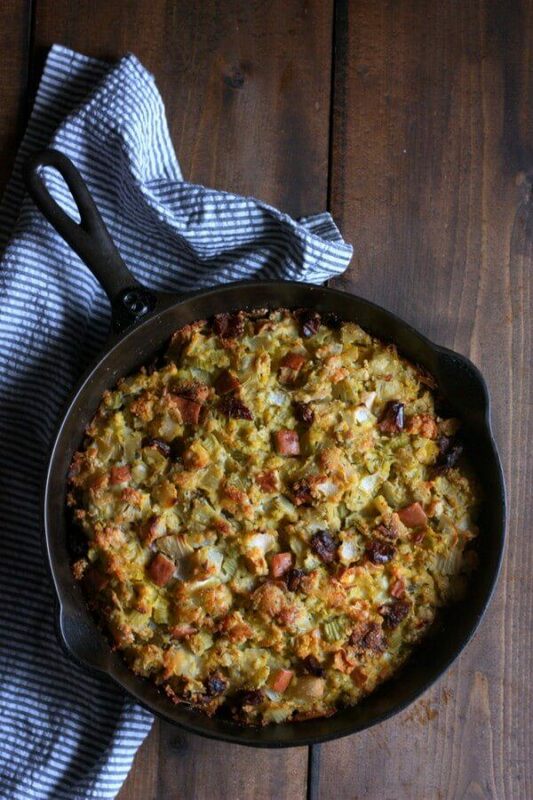 You really can't have a Thanksgiving dinner without the stuffing – but finding a good gluten free stuffing isn't easy. This particular stuffing is grain-free and it can also be eaten as part of the paleo diet. The stuffing relies on almond flour, eggs, a few vegetables and some other ingredients to create the stuffing that you can see in the image. The combination of ingredients means that it isn't going to taste or feel exactly like normal stuffing, but that isn't necessarily a bad thing. You may even find that this approach to stuffing is more appealing than the more traditional approaches. If you want more information, have a look at the full recipe at mommypotamus.com. 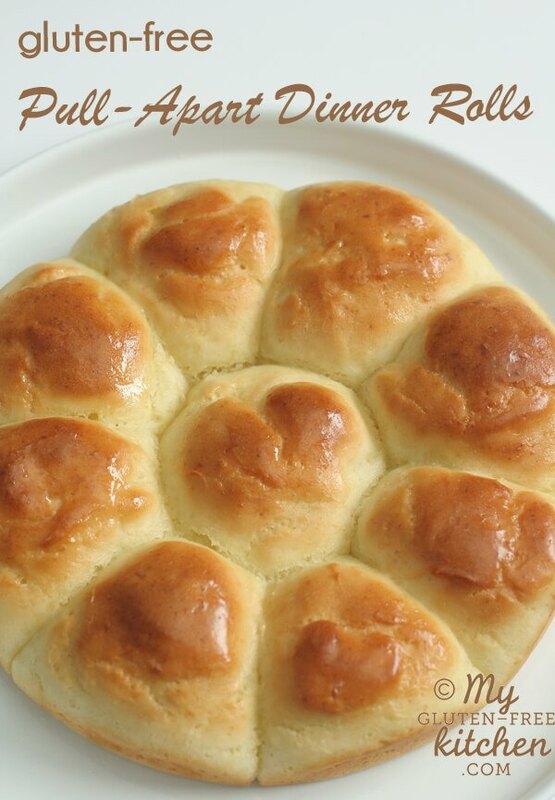 Good dinner rolls are a must for Thanksgiving, so here's a second type of dinner rolls. These ones look like white dinner rolls that you might pick up at the grocery store – but they have the advantage of also being gluten free. As Michelle notes in her recipe at mygluten-freekitchen.com, gluten free dough is different to work with than normal dough, so it can take a bit to get used to if you haven't done much gluten free baking in the past. But, once you get used to it, making rolls like these ones should be easy, and certainly worth the effort. Cookies are another popular and very common snack that you seem to miss out on if you are gluten free. But, like bread, there are some recipes that let you make cookies that don't include any gluten at all. These are great as a Thanksgiving snack, but they are also a good option for any time of the year and any occasion. 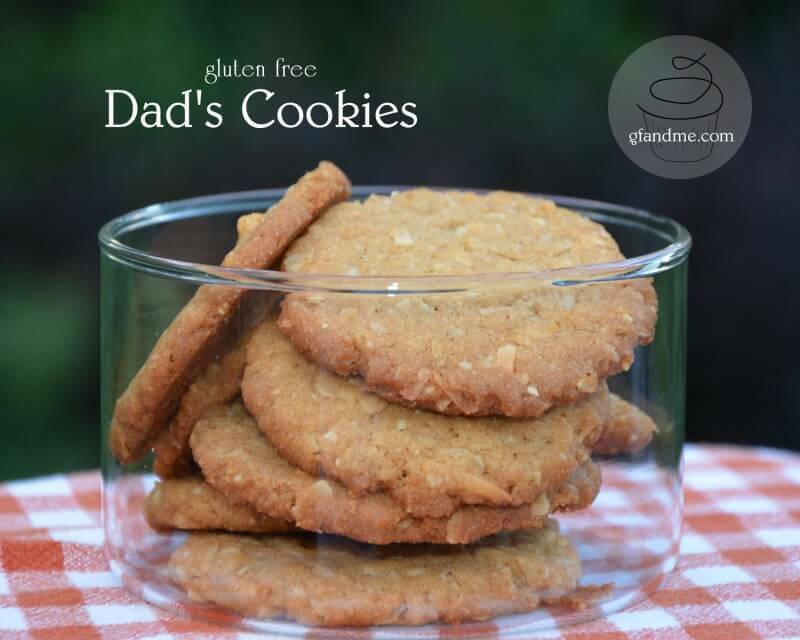 The recipe does rely on oats and oat flour, and as is noted on gfandme.com, some people with celiac disease are unable to tolerate these. However, for most people wanting gluten free coolies, the recipe is still a very appealing (and simple) option. 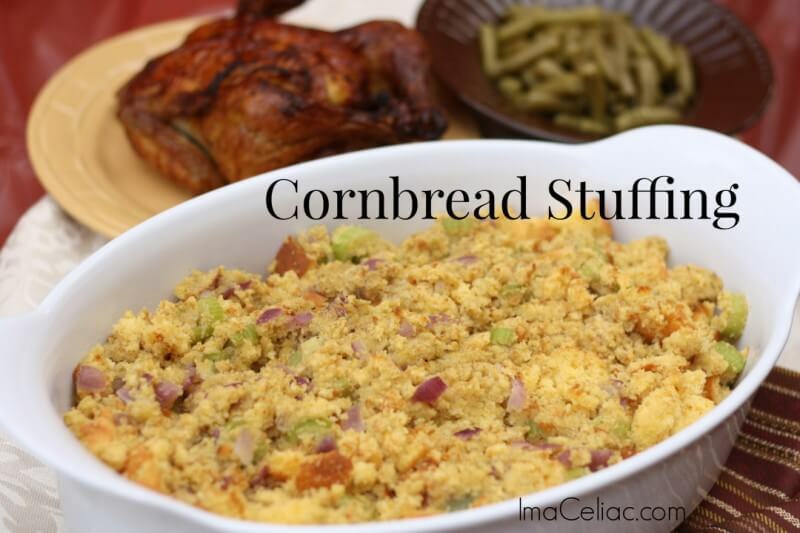 Cornbread can be a great substitute for bread in many cases, and this gluten free cornbread stuffing recipe is one example of this. It's a pretty simple recipe because it relies on a gluten free baking mix, but that doesn't stop it from being a good idea. Besides, having some simple dishes in the mix is certainly a good thing if you are trying for a gluten free Thanksgiving. This particular recipe comes from imaceliac.com and Pam does a great job at explaining how to put it all together. I love these biscuits from bubblegirlbakes.com. Visually, they look very cool, and the use of sweet potato is an interesting idea, but one that works quite well. I honestly don't think that people could tell these were gluten free from their appearance or possibly even from their taste. After all, who said that you can't have great food if you are avoiding gluten? I know I'd love to try these, and I have no problems with gluten. To me this sauce is like an adult version of cranberry sauce. This approach creates a sauce that is considerably more complex, and tastes much better for that decision. This recipe reminds me why making cranberry sauce yourself is such a good idea. The sauce is surprisingly simple to make and doesn't even take very long. The end result is something that tastes so much better than anything you could get out of a can. 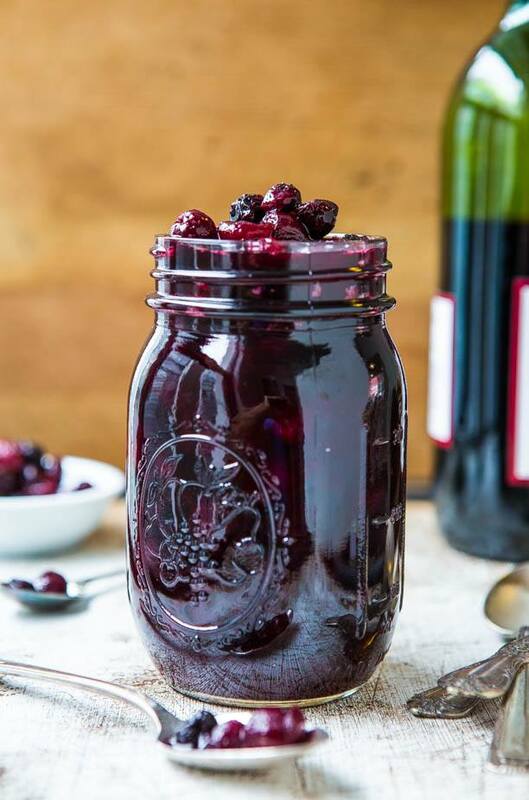 The inclusion of Cabernet into the recipe is a master touch and gives it extra class. The full recipe is hosted at averiecooks.com, for your viewing pleasure. I love caramel and any recipe that includes it has my attention right from the start. These bars look sweet and sticky, exactly what you would expect from something that combines caramel, apples and pecans. 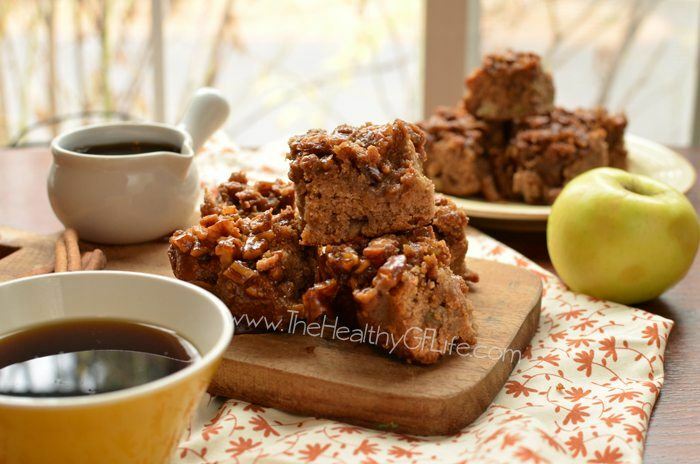 The combination of flavors is very fall-like, and I could easily imagine these bars as a snack on Thanksgiving or on a chilly fall day. Thehealthygflife.com hosts the full recipe, and this is another one that would work great for people who don't eat gluten and for those who do. 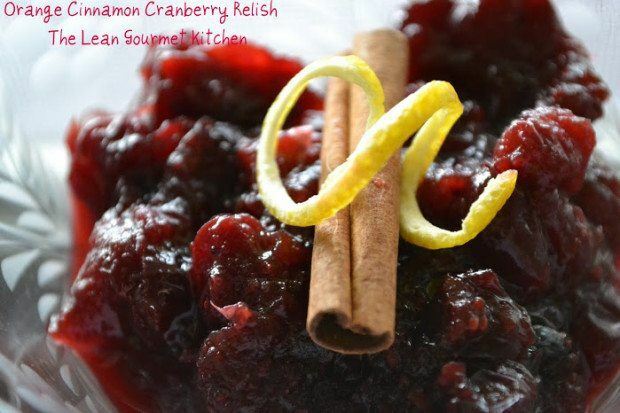 This recipe is another alternative to the traditional cranberry sauce for Thanksgiving. As this recipe is for a relish, it does have a little bit of a different texture, but not all that much. I love the addition of orange and cinnamon flavors, and they make this whole thing stand out a bit more. The recipe is a pretty simple one, so it's a good choice for beginners. Gfreelaura.com has all the details if you are thinking of trying this one out. These gluten free muffins are hosted at glutenfreeeasily.com, although the original recipe comes from Michelle at myglutenfreekitchen.com. 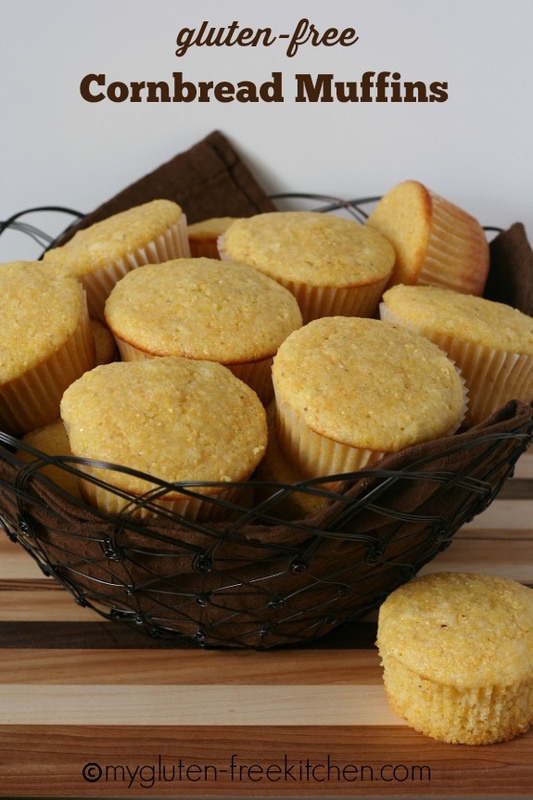 Because they are made from cornbread, the muffins are somewhere in the middle of sweet and savory. I like the way that they aren't too complex, which makes them good for a wide range of situations. 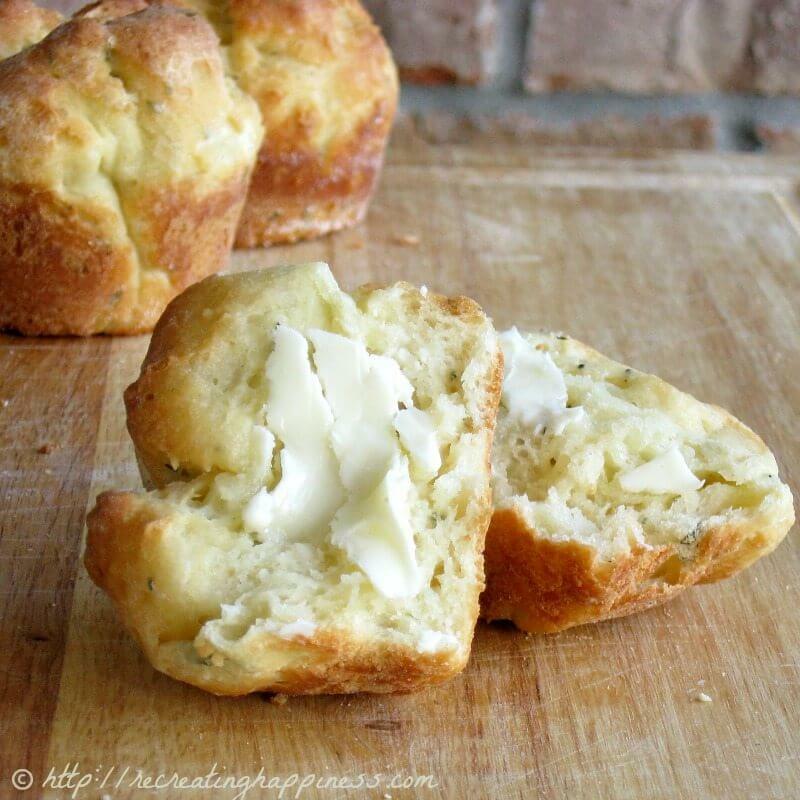 I would consider using them as a dessert option for Thanksgiving or even as an alternative to bread rolls. 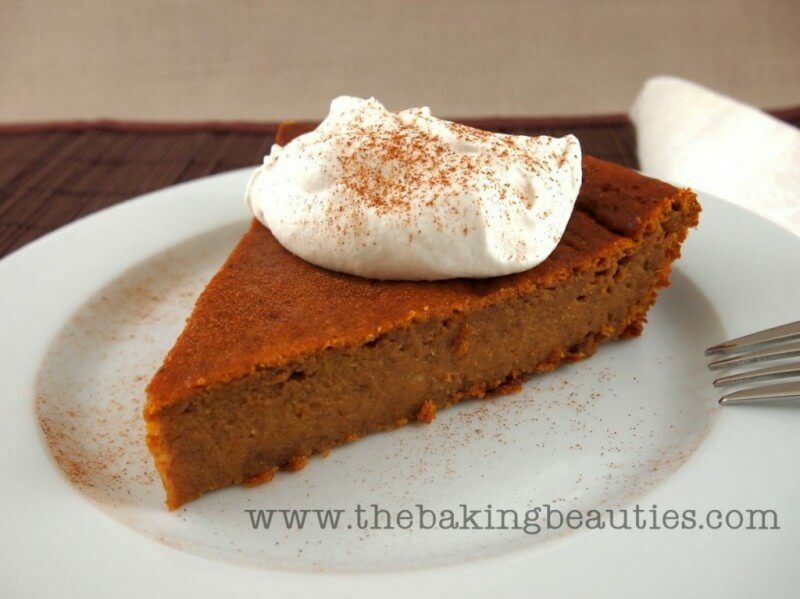 This is another variation on the classic pumpkin pie. This one does have a crust, although it seems to be a pretty thin one. The recipe also works without a crust, which is good for people without much time. Despite the decadent nature of the dessert, it is actually sugar free. That makes it a good option for dieters. After all, there is enough high calorie food on offer during Thanksgiving. The recipe itself can be found at mrscriddleskitchen.com. The simple nature of this dish is cool. You're basically looking at roasted acorn squash, with a homemade topping. It's a great way of jazzing up roasted squash and making something that really stands out on the plate. Looking at it though, I imagine this would be a little difficult to eat unless you were using a knife and fork. That's not necessarily a bad thing though, and you can take a look at chefjanetk.com to see how the whole thing comes together. 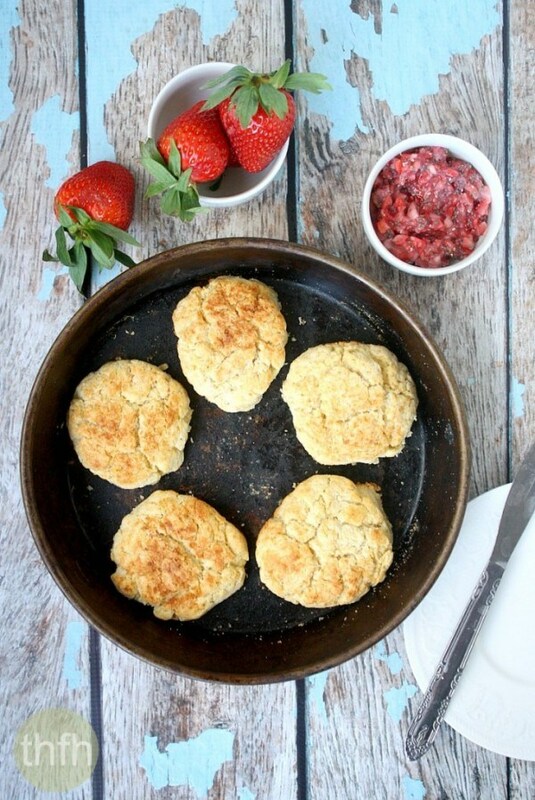 In this recipe at thehealthyfamilyandhome.com Karielyn comments that one of the things she misses the most about eating gluten is biscuits. 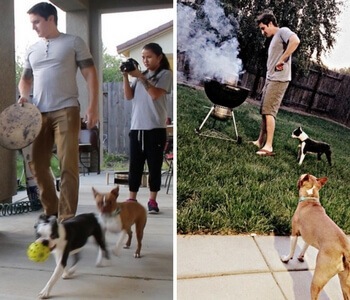 So, she worked on this recipe to create something that filled that gap. While the biscuits aren't as flaky as normal (gluten-containing) biscuits are, Karielyn says thatthey are still soft and moist and very appealing. 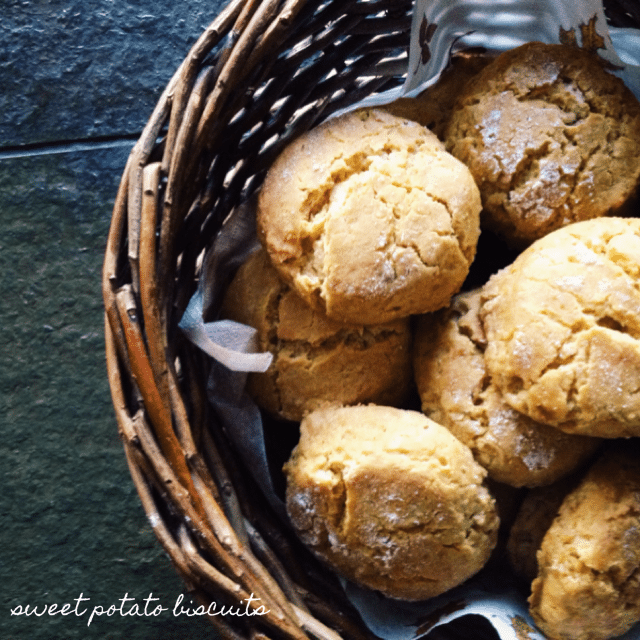 Finding a good gluten free biscuit recipe can take a little digging around, especially as everyone has different preferences. However, what Karielyn offers here may well be the answer for many people. If you haven't heard of it before (and I hadn't!) FODMAPs are specific types of food that can be hard for people with some conditions, like irritable bowel syndrome. So, this particular gravy is a good choice for anyone with a sensitive stomach and for anyone who can't eat gluten. It also looks great, which is always a good thing. Dianne hosts her recipe at deliciousasitlooks.com and she has other recipes for sensitive stomachs too. You are here: Home / Gluten Free / 21 Gluten Free Dishes Even Normies Will Enjoy! Thanks for the shout out! These recipes all look fantastic!